We are pleased to announce our 144 issue of the openSUSE Weekly News. Our "openSUSE Conference 2010" with the Topic "Collaboration across Borders" is just around the corner. Don't miss it, and register yourself on http://conference.opensuse.org. In addition, we got a good news from forums.opensuse.org. Last week, the Dutch language subforum has been launched. So our Dutchmen can exchange their Knowledge in their native Language. We're wishing our dutch Friends many joy. So it was all from Editors Side. "Extend the web of trust! Take part at the Keysigning Party during openSUSE Conference. If you want to participate, follow the instructions in the openSUSE wiki now! The deadline for key submissions is Monday, October 18th at 12:00 UTC." 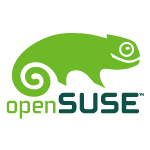 "Today, Thursday October 7, the openSUSE project announces Milestone 2 of openSUSE 11.4. Milestone 2 (M2) is the second of six periodic development snapshots of openSUSE 11.4 and includes updates to major components across the breadth of the distribution." "The openSUSE Goblin Team are pleased to announce the first public release of Smeegol. ﻿﻿Smeegol is based on the netbook user interface that came from the MeeGo(TM)* project. Smeegol offers the latest Banshee’s powerful music player, a newer Evolution Express as mail and agenda client and several additional social networks. The MeeGo project, a collaborative effort by Nokia, Intel and a quickly growing community of volunteers under the umbrella of the Linux Foundation, aims to create an operating system designed for small-formfactor devices with limited computing power and screen estate. Think about platforms such as netbooks/entry-level desktops, handheld computing and communications devices, in-vehicle infotainment devices, connected TVs, and media phones. Novell is a part of the MeeGo effort, working with the Linux Foundation on their build infrastructure and official MeeGo products. MeeGo is using increasingly more openSUSE technology, including zypper and other system management tools." openSUSE News: openSUSE Strategy: the third and fourth part of the trilogy! "The last week we again received over 100 comments on the first and second part of our strategy. A few refinements came in on our description of our target users, but most of the input was on the second part about what we offer. We have again incorporated all the comments into the document and a new iteration can be found on co-ment. And now, the third piece of text has been added: What does openSUSE not do? Besides this, we added some ‘background information’ to the strategy, including ideas on our competition, what openSUSE might gain and loose from this strategy and how openSUSE should look like in 2 years from now. Like with “Target Users” and “What does openSUSE offer it’s users” we would really appreciate it if you could give your input on co-ment but we will accept any kind of input on any channel we can follow. So if co-ment isn’t your thing, feel free to comment below this post, on the forums or anywhere else. For those new to co-ment – it is a pretty awesome commenting tool under the GNU Affero GPL." openSUSE News: OSC2010 Sneak Peaks – Conference keynotes you shouldn’t miss! "12 days from now it will be the 20th of October – the day the openSUSE Conference will start in Nuremberg, Germany. The conference will be kicked of by keynotes on Wednesday and Friday. With the keynotes we aim to inspire and energize our visitors, sharing some insights or a look at things they haven’t seen before. Henne talks in his opening keynote about how openSUSE has become more open – and how you should take advantage of that if you want to change things. On Friday, Gerald talks about the place of Novell in the openSUSE community and how and why it supports us." "After the second iteration on the rules, a number of clarifications have been made and also the complete rule set got reordered and edited. I’d like to thank David that did the major editing on this one. What do you think? Are we good now to run the next elections with these rules?" Clone it, build it and run it in Testdrive"
"We are proud to announce this week's featured appliance - Smeegol 1.0 by Andrew Wafaa, a.k.a. FunkyPenguin as he is known in the openSUSE community. Smeegol is the openSUSE spin of MeeGo and is targeted for netbooks. This release includes the latest versions of Banshee music player, Evolution Express email/calendar client, plus tight integration with all your favorite social networks like Twitter, Facebook, MySpace, Flickr, etc. The full details can be found in the Smeegol 1.0 announcement." "We have just added the OVF build format to SUSE Studio! You can now easily create standards compliant and vendor independent appliances right from your web browser. For those unfamiliar with OVF (Open Virtualization Format), it is an open specification for packaging and distributing software appliances, as defined by the DMTF VMAN standard. It is not tied to any particular hypervisor and is supported by many popular virtualization platforms. These include several VMware flavours (eg. ESX, Workstation) and VirtualBox. OVF is backed by Dell, HP, IBM, Microsftware, VMware, and XenSource. To learn more about OVF and how it compares with VMDK, refer to VMware's OVF guide." "Fellow openSUSE users! Of course you have anxiously been waiting for the GNOME 2.32 release. We all have. It took us a few moments to prepare a repository that we can offer you in order to update your openSUSE 11.3 installation, which was based on GNOME 2.30, to the latest and greatest GNOME 2.32! After having GNOME 2.32 prepared for openSUSE:Factory we decided to branch this off to also have our openSUSE 11.3 users profit from it. It showed that all in all the release was a rther simple one to offer. So no reason to not to!" "We have just released Mono 2.8 a major upgrade to the Mono developer platform. This release contains ten months worth of new features, stability fixes, performance work and bug fixes. Removed the 1.1 profile and various deprecated libraries. For the full details, check our detailed Mono 2.8 Release Notes"
"I would be very userfriendly if the "Vodafone Mobile Connect" software was just one of packages the we could select from YaST. 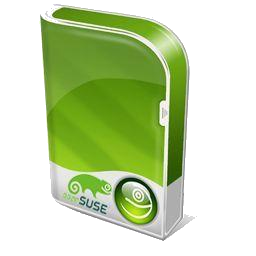 "openSUSE is a great open source community linux distribution. One thing I miss which other distros have, is that the shorewall firewall packages are not available in any repositories. (...)"
Summary: Keeping the current kernel installed should be the default and automatic behaviour for a kernel update through Yast! (Provided there is enough space on the partition that holds /boot). Or it could be a setting somewhere to keep the last X number of previous installed kernels (where X should default to 1)." "Let's face it: the default soundscape provided by upstream KDE4 release is far from ideal. Majority of sounds in it are too long (default login/logout sounds, anyone?) and they do sound very old-fashioned (plain piano) while desktop itself is the most advanced available. (...)"
hilariously loud POP is almost killing my ears. This is annoying and painful. What's also annoying is that with 'flat-volumes = yes' the master volume is changed to the loudest individual stream. If a rogue application should choose to up the volume, my ears get fried (headphones !) (...)"
In Factory, sometimes root= doesn't work and some experimenting is necessary to get a boot and find out why. e.g. for a long while, root=LABEL= syntax was not working, and still might not be in certain cases. Also, modern root=/dev/disk* syntax makes most kernel lines are longer than the text editor screen is wide (wrapping makes more confusion), which means also /dev/disk entries are too long for human brains to remember for manual typing. And, sometimes troubleshooting requires /dev/sdX# syntax. When dropping back to text mode to edit cmdline and mistake is made, grub doesn't recover nicely, and reboot to restart Grub is often required to retry. So, showopts before root= in gfxmenu would be a nice facility provided via /etc/sysconfig/bootloader and perl-bootloader instead of having to manually change it after each kernel update." "I recently tried installing new icon themes into openSUSE 11.3 via the Configure Desktop app. It showed a lot of themes with an "install" button, but when I pressed it, nothing happened. It turns out, that's because it only installs .tar.gz files and a number of the themes listed are in other formats. So the "Get New Themes..." popup should only show files it can actually install." "As in title: add "susestudio" category to openFATE." "Easy Scan - Is a very pretty straight away tool for scanning stuff. I understand we ship xsane by default, though offering both would be probably a good choice. For me and my hardware, (I need to scan a couple of documents once in a while) it does do the trick with a few simple clicks. This is very helpful if you are in a rush (usually if I scan something is because I am in a rush). It just works. (...)"
About LibreOffice LibreOffice is a productivity suite that is compatible with other major office suites, and available on a variety of platforms. It is free software and therefore free to download, use and distribute." "I installed openSUSE 11.3 via netinstall. Because I'm on a Netbook I used my wireless lan connection. And because I also didn't want switching between my netbook and my desktop system I activated VNC for the installation procedure. That just ran all fine but after the restart during the installation (when booting into the installed system) the configuration settings for my network connection are gone and therefore I had to configure it manually in a terminal. It would be nice if we could extend the installer so it does remember these settings." "It is Monday morning and almost time to get ready for work at the GNOME-A11y hackfest in Sevilla, Spain. As much as I’m looking forward to the week, I’m still very depressed about what happened this weekend. On Saturday morning, just as I was leaving Barcelona to head down to Sevilla, I got robbed. I was at the bus depot waiting for the airport shuttle bus to take me to BCN when I put down my laptop bag and camera bag so I could pull out my white cane. Barely a moment passed by when all of a sudden I got jostled and in that split second… whoever it was was gone and so were my two shoulder bags. Why couldn’t they have stolen my suitcases instead of this???" "Many of you that follow my blog probably know Bryen, also known by suseROCKS. He is someone that has dedicated a significant amount of his time and effort throughout his life to spread awareness about accessibility. This month he is traveling in Europe to help further this effort. Unfortunately, while he was in Spain he was robbed. There are several of us that have thought about trying to raise some money to replace these items." "As a follow-up to yesterday’s post on what happened to me over the weekend, I want to give thanks for the tremendous amount of support everyone has given to me from across the world. There’s very little I can say to truly express the awe I feel about the support you all have given. (...)"
"Ladies and gentlemen, Recently Amaru Zelaya Orellana and myself cooperated on an article about the great work our ambassadors are doing around the world. They deserve great respect for what they do. A great marketing effort. Meanwhile, the openSUSE marketing team is doing more work - getting articles out on the technologies we have, developing materials for our ambassadors and of course promoting the conference. However, no matter how much they do - they need help." "I just published/send/submitted the last part of the openSUSE strategy stuff. Coming from KDE, this was a very interesting endeavor. It's not done yet, of course - I expect a huge amount of comments on this one (find it here) as it includes some notes on our 'competition' (coopetition? ), what the results will be and how we'd like to be in a few years. I know the KDE community is also looking at future directions - KDE 4 series is stabilizing, so where to go next? GNOME meanwhile is getting GNOME 3 out - but at the same time also had strategical discussions at the last GUADEMY. And of course Fedora has followed openSUSE in discussing directions. Guess it's contagious..."
"This post is about why one should visit a conference at all and hopefully is a good read for people who haven’t been on a FOSS conference yet. For oldtimers this might be unbelieveable, but I remember perfectly how I thought “This conference sounds interesting, but its probably only for checkers, long term contributors, not for me”. Thanks god I had somebody convincing me that that’s wrong and pulled me to my first Akademy which was a great experience as well as all the other conferences I have been later. The main thing that happens on conferences is learning. While sitting in workshops and presentations you can learn so much about technologies, and since you take the time to really listen to it, it sticks very good in your mind. If questions remain open, you can be sure to immediately find people who can help to clearify." "First of all a big thanks to Andreas, I received the promo DVDs on time. We had our openSUSE Linux event on UoM's campus yesterday, 30 September 2010. It was rocking and we received plenty feedback. Got students interested from faculties of management, humanities, agriculture etc...contrary to our belief that this event will attract computer science & engineering students only. Event: Software Freedom Day - Chile. Location: University of Talca, VII, Chile. "Next month on 13th and 14th November is in Oberhausen an Linux event called OpenRheinRuhr. Its the second edition of this event, last year it was in Bottrop and this year it will be in Oberhausen at Rheinisches Industriemuseum. Marcel Richter, Thomas Groß and me go there but Thomas have a talk and me have an workshop and a talk there so help is always welcome. When u have time and fun to help at the openSUSE booth, send me an message." "At October the 3rd we participated at the xariseto Free Festival.We were placed between Greeklug and the Fedora community Project. The event had everything an Free open fest could have,music,theatrical teams ,places for kids to learn through games, free coffee, free clothes,free games and any other kind of items people stopped use and wanted to give away to others instead of throwing them away as garbage,also after the event what people didn’t take the xarise to team gathered it and gave it to institutions. (...)"
"Please find my report here. Event: Software Freedom Day - Szeged, Hungary. Location: University of Szeged. (...)"
"EPUBs are getting more and more important thesedays. If you believe the essays from well-informed magazines, they will develop into a standard for book and text consumption as MP3 did for audio. Today, lots of e-book readers are available and more will be ready in the future. Apart from the problem, if an e-book reader supports EPUB, the EPUB file itself has to adhere to certain specifications. This is the task for epubcheck, a commandline utility which validates an EPUB file. The RPM package can be found in my OBS repository home:thomas-schraitle as usual. To use it, just run epubcheck with your EPUB file and see what it finds. Have fun!" "KMediafactory is easy to use template based dvd authoring tool. You can quickly create DVD menus for home videos and TV recordings in three simple steps." Imagination at present features 26 transitions effects developed as plugins loaded at startup. Exporting of the slideshow as FLV format is supported. No sound and Ken Burns effects yet but they are planned in the next release." "Drivers in 2.6.36 include considerably improved support for infra-red receivers and remotes, optimised USB drivers, and a solution for a much discussed problem that Android developers, in one way or another, had solved long ago." "Well, hello, folks, and be welcome! After a short break, caused by various real-life-related stuff, we’re back in business! So, let’s see what’s happened …"
"The GIMP has a ton of tools for the user to take advantage of. From editing tools to drawing tools to filters to script fu to a whole host of other possibilities. One tool that many don’t take advantage of is bushes. Brushes in The GIMP allow the user to extend The GIMP’s flexibility by creating different ways to draw with effect or style. Brushes can be any number of styles from either standard drawing tool brushes to more artistic brushes. Regardless of the type of brush you want to add (you can even create your own), you have to know how to add them, before you can use them. In this Ghacks article I will show you how to add new brushes to The GIMP in Linux." "Dropbox is a nifty little application that lets you sync and share files on the Internet and between several computers. Want to send a movie to a friend? Use Dropbox. Want to have a common folder for pictures that you and your girlfriend can update on different computers? Use Dropbox. The problem with Dropbox is that you can’t share entire folders. Only individual links. That’s where dropbox-index comes in. Download the Python script and use it like this to share an entire folder of files: (...)"
"This is the first in a series about using the "command line" in Linux. It is also about knowing when to use a gui instead. But before going into any of that we need to understand what is meant by a "command line" application. You'll find that as we explore that idea, a lot of things that are not really true 'cli' (command line interface) apps arguably count as cli, including menu driven console based apps and even gui apps. This will be controversial. (...)"
"Today's collection of one-liners are sure to win some converts. There's nothing like a quick command that saves you a lot of trouble and just might impress your boss and coworkers that you're the cleverest person around. The first is the cd -" command that takes you to back to whatever directory you were previously located in. Need to bounce between two directories as you make some mighty edits to some configuration files? No problem. With the "cd -" command, you can do just that. (...)"
"Computer-based calendars are very useful, and the Google Calendar is probably one of the more widely used personal calendars other than scheduling programs such as MS Outlook and Groupwise (both of which are broken). But, webby gooey applications can be rather bothersome because they tend to take up a lot of screen real estate and other resources, and on smaller screens such as a laptop can be rendered virtually useless by all that added functionality built into the web browser itself as well as the calendar page. It is quite possible that on your laptop, your Google Calendar may look something like this: (...)"
Cornelius Schumacher: The role of KDE e.V. "I wrote this article for KDE e.V. 's quarterly report Q2 2010. I'll reproduce it here in case you haven't seen it yet. From time to time we hear the question, what actually is KDE e.V., what's its role in the KDE community? Let me try to answer this question here. In short, KDE e.V. is the organization, which represents, supports, and provides governance to the KDE community. It gives the community a legal body so it can participate in activities which require a legal representation, somebody handling money, or a way to legitimize individuals to speak and act for the community." Nelson Marques: Fortune favors the bold! "2010 will for sure be the ‘year of strategy’, as I’m seeing many people in several distributions (ex: Fedora, openSUSE) placing an awesome effort into it. During what I’ve seen from many strategical teams working on the field, there is one thing that came into my attention, and which has actually been giving me lots of thinking around it… ‘user base’ definitions… There is a huge concern about technical skilled individuals and integrating them into the community, and often the most less demanding users are often ignored or at some point marginalized… Why does this happen? Lets think about this ‘less technical oriented’ users and their needs and how they fullfil them!" "It’s been more than a week now since the Great OpenOffice Fork of 2010, and the dust is beginning to settle. If you haven’t heard, last Monday a large chunk of the OpenOffice.org (OOo) development community announced the formation of The Document Foundation (TDF), and would create a new office suite based on OOo, called LibreOffice. The announcement carried endorsements from many heavy hitters in the open source and corporate worlds, including Google, Novell, Red Hat, and Canonical. Even the GNOME Foundation (while noting the existence of its own small suite) had nice things to say at the launch." "A couple weeks ago when I was strolled around Oracle's incredibly synergized (but unfortunately yacht-less) conference I noticed that SUSE and VMWare were quite chummy on the show floor. It seems that Novell's push of SUSE Linux Enterprise Server (SLES), openSUSE's more refined older brother, into the virtualization space is a lot bigger than just SUSE Studio. VMWare is one thing, but what about the biggest cloud out there, you know, Amazon's EC2 service? Turns out Amazon EC2 now supports SUSE Linux Enterprise Server." "Lots of good news today!.First of all, the openSUSE community's Smeegol team has managed to get SmeeGol 1.0 out!. So check it out, it's worth it :D"
"Systemd is a replacement for SystemV init and in heavy development since the first announcement on April 30th by Lennart Poettering. Thanks to Kay Sievers’ work, we have packages for openSUSE curent Factory stream as well. I gave them a try a couple of weeks ago but somehow did not succeed with getting a working system. At LinuxKongress I met Lennart and decided to give systemd another try. I still could not log into the system due to it using NIS and automount for NFS home directories and started debugging this together with Kay over IRC in a virtual machine first. Once we had a workaround for me, I used systemd on my workstation and Kay and Lennart fixed the problem in systemd properly. I run into a couple of more problems and thus were fixed quickly so that the last release – systemd 11 – works fine on my workstation running openSUSE Factory (Factory is the development version for the next openSUSE release, in this case for 11.4)." "This thread has become almost a case study and almost certainly it will be something the OP is starting to dream about. It's intriguing that the OP gets a near perfect running system form the Live session but that it falls back post install to a black screen." "In principle I guess this might seem like something that should just work, but it doesn't. Least not without some work and luck. Yes, luck does seem to come in to it." "Now that's what we like to hear! But it might be best if the OP accepts the installers proposal to shrink Windows. As much as we might want to see users make a complete migration, it's not necessarily the best advice in this case." "We couldn't go without a Milestone news point and this is quite epic in detail and interesting to read. Some good work thru info in here too." "The Desktop Summit is a co-located event which features the yearly contributor conferences of the GNOME and KDE communities, GUADEC and Akademy. Next year the conference will take place from 6 to 12 August, 2011 in Berlin at the Humboldt University, Unter den Linden 6. The event will feature keynotes, talks, workshops and team building events. The Desktop Summit website is now online. (...)"
"Watch Sintel in a cinema, for free in Nuremberg, Germany. "At KommKino Nuremberg, which is Gold Sponsor for Sintel, there will be a free screening of the grand short film at 21st and 22nd of October. (...)""
"Google has open sourced a new "lossy" image format known as WebP — pronounced "weppy" — claiming it can cut the size of current web images by almost 40 per cent. CNet revealed the format with a story late this morning, and Google soon followed with a blog post describing the technology, which has been released as a developer preview. WebP is derived from VP8, the video codec Google acquired with its purchase of On2 Technologies earlier this year and promptly open sourced as part of the new WebM format." "For the third time in a row, Worldforge participated in Google Summer of Code, with three students completing the program this year. Worldforge is the original open-source Massively Multiplayer Online Role-Playing Game (MMORPG) project, so it’s great at getting students who are interested in games into open source. This post showcases some of the work done by one of our students, Tiberiu Paunescu, to implement a series of improvements to the Ember UI. These improvements were all end-user focused and meant to provide a better and more streamlined user experience. The first feature implemented was an improvement to the inventory which makes it possible to drag items from the inventory widget into the world, and place them there. When an item is dragged off the inventory and into the world a preview model is created, showing where the item will end up." Linux Magazine/Jeffrey B. Layton: One Billion Dollars! Wait… I Mean One Billion Files!!! "The world is awash in data. This fact is putting more and more pressure on file systems to efficiently scale to handle increasingly large amounts of data. Recently, Ric Wheeler from Redhat experimented with putting 1 Billion files in a single file system to understand what problems/issues the Linux community might face in the future. Let’s see what happened…"
Linuxaria: Linux Distro as Food ? 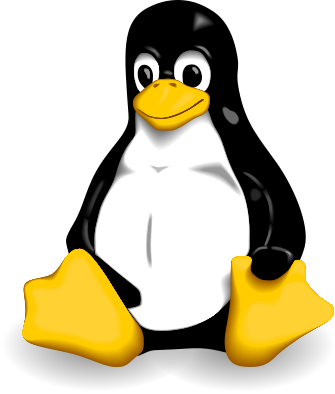 "There are many articles that explain the different characteristics of the distributions of Linux, today I also want to try it my way. If every Linux distribution was a food, which would you choose to eat? I’ll try to resume for every distro the keywords that come to my mind thinking at it and see what’s the first Food result that google image give with these words and the word food." "It was recently announced that Internet Explorer has slipped to less than 50% of the market, at least according to StatCounter. Firefox claims nearly 40% of the market, but Google Chrome has already entered double digits in just two years. For features and speed, Chrome is rapidly becoming ‘the browser to beat’, and the Mozilla Project seems to know it. The Firefox 4 feature list and development cycle have been fairly aggressive in terms of trying to catch up to – or surpass – Chrome. How’s it going so far? The betas of Firefox 4 have been impressive, and have revealed a few new features that you won’t find in Chrome and improvements under the hood. (...)"
This page was last modified on 13 October 2010, at 13:39. This page has been accessed 46,948 times.